The packaging industry is an ancient industry that has been around since the early days of man. Packaging in some form or another has always been around to assist man in transporting, storing, and protecting a variety of items. Early man would use crude packaging materials and designs to meet the needs of hunting and gathering to survive. As technology advanced, packaging materials and processes advanced. Let's take a look at the various stages and progress of the packaging industry. It is not certain or specifically recorded when the first packaging was invented and put into use. Most historians agree that it was when early humans were nomadic hunters and gathers. The constant movement and relocation of these people forced them to construct devices for carrying and containing food, tools, and other valuables. There is a lot of speculation to what the fist packaging product was made from. Even though the materials were basic there are several possibilities to what was used. 1. Leaves - Large leaves from a variety of different trees or plants used with vines may have constructed the first packaging container product. 2. Nuts or Gourds- Early civilizations have well documented information about the use of both nuts and gourds to store, contain, and transport a variety of goods. 3. Animal Skin- Nomadic people believed in using every part of an animal when killed. It is very possible a tanned hide was used to contain and transport products, food, and goods. 4. Wood- A hollowed out piece of wood may have been used with leaves or animal skin to construct a containing/storing device. All of these options are only speculation to what may have been the first packaging material used by early humans. Years after the hunters and gatherers developed the first form of packaging, the need for packaging and containing devices became more important. When man began to domesticate animals and plants, villages began to pop up. The introduction of villages increased the need for larger storage and transportation devises to supply larger groups of people. The increase of villages helped to bring about many advancements to advance the way of life. Many of these advancements spilled over into packaging technology. A variety of different materials were used to produce, transport, and store goods and products. The types of materials used varied depending on the geographical landscape each village was located in. Below is a list of packaging products used by early village settlers to better their way of life. 1. Woven sacks and baskets made from a variety of plants depending on the geographical location of the village. 2. 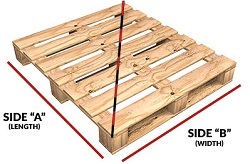 Wooden boxes and crates were constructed to contain, store, and transport goods. 3. Clay was shaped into a variety of containers and storage devices for dry goods and liquids. 4. Animal skin was used to shape and form containers and storage devices. These materials and methods advanced the packaging industry and improved quality of life for people living at the time. With these advancements, humans could store crops and food for the winter, protect food and goods from dangerous animals, and transport products to and from the village. Hundreds of years later, trade and the establishment of cities helped to make large technological advancements in packaging. The rise of cities and trading brought about the exchange of goods and innovation. Supplies were made available to regions that had never been available before. The exchange of goods helped increase the quality of life, it also increased the sophistication of packaging materials and products. enabled craftsmen to mnew glass into a large variety of shapes. Many of the products produced were containers for transportation and storage. The blown glass containers are often made of thick durable glass that was heavy yet preferred because of the many benefits offered. During the same time period, the invention of the wooden barrel came about. Many believe the techniques used to shape and bend the wooden barrel were derived from ship making. Craftsmen would use steam to heat the wood and bend it. With the wood in the proper mnew, it can be slowly heated and bent to shape the barrel into the proper form. Once the barrel is cured, it was found to be one of the most effective forms of bulk packaging known at that time. The barrel enabled people the ability to store and transport liquids and dry goods in large quantities. After the fall of Rome, inventions and innovation became stagnant within Europe. Many new technologies and advancements came from other cultures around the globe. China began making the first true form of paper during this time period. The invention and production of paper proved to be a valuable and common material used in the packaging industry for centuries. The migration of citizens into the city reduced the need for large bulk consumer packaging options and increased the need for individual and smaller packaging quantities. Manufacturers and producers needed the large storage containers and bins more then ever, but consumers needed other packaging options. These demands offered a new chapter in the packaging industry. Bulk packaging had been around for hundreds of year by that time, but individual packaging was something new. A variety of paper making methods were implemented during this time period to fulfill the needs of the demands listed above. Initially, most of the food packaging, bags, primary packaging, and in-store packaging options were developed from a paper based material. There were some exceptions. Glass jars and jugs were an important part in the demand for individual packaging methods. Many companies developed printing methods to place their brand upon the product packaging. This helped users quickly identify the maker of the product. No major advancements were made in the packaging industry until the early 1900's. This was when plastics were introduced to the packaging industry. The new cellulose plastic changed the packaging industry and dominated the flexible packaging sector for years. Polyethylene was produced in the 60's and quickly became a preferred packaging product. There have been many changes and new developments since the development of plastics into the packaging industry. A large variety of different plastics have have been produced since the first introduction. These plastics have increased the quality of life for people around the globe and continued to advance the packaging industry. The plastics have enabled manufacturers and producers to extend the life and better protect products. The large rise and production of plastic packaging materials has increased the demand for more environmentally friendly options. Many materials in the packaging industry now have recycling options. 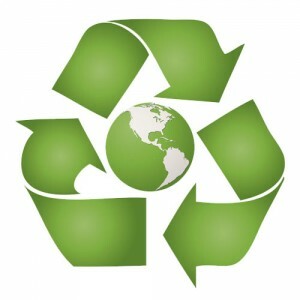 Check out our recent blog post about recycling packaging products. In recent years there have been large advancements in the development of more environmentally friendly packaging methods. Currently many of these methods are not cost effective enough to be commonly used in the market place. In time, manufacturers, and producers will shift to packaging that reduced the environmental impact. There are also a variety of other unforeseen changes in the packaging industry that will take place as technology and products advance. At U.S. Packaging & Wrapping we strive to be in touch with the current state and future of the packaging industry. If you have any questions, call us at 1-800-441-5090 or visit us online!